Venn Life Sciences (Venn) is a European CRO with 25 years’ experience in the management & resourcing of clinical trials. Venn’s long history has seen it work with some of the world’s leading Pharmaceutical, Biotech & Medical Devices companies. With unique knowledge of navigating the European Clinical Trials area, Venn’s therapeutic experience is extensive with highly qualified teams across Europe. The business was originally running its data centre out of Canada, which hosted its Navision centralised accounts and management software. 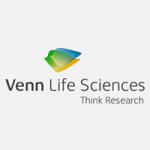 In recent years, Venn Life Sciences has expanded its presence throughout European market with offices in the UK (London and Belfast), Ireland (Dublin), France (Paris), the Netherlands (Hoogeveen), Switzerland (Zurich) and Germany (Rheinbach). In 2013 the company took the decision to move its IT operations from Canada to Europe. Six IT companies were asked to quote for the project with ACT making it to the final shortlist of two companies. ACT were awarded the contract on the basis that their response to the brief was very comprehensive in conjunction to offering a wide range of additional services at a very competitive price. The implementation of the project consisted of two major parts. The first phase involved creating a multiple-server virtual environment in a UK-based data centre and migrating company data, user security and accounting applications from standalone servers located in Canada. The second phase focused on the move of e-mail services to the Microsoft 365 cloud platform, requiring the audit and preparation of 50+ end user devices followed by a seamless zero downtime migration. Everything was completed on time to a tight timescale and with very few problems. ACT Systems acts as Venn’s global IT Centre and works with local suppliers in the different European countries to troubleshoot problems which need an onsite visit. As such, ACT is now an important part of Venn’s business and will be recommending and specifying all Venn’s future IT needs. During 2014, ACT will work with Venn Life Sciences to continually improve their IT infrastructure in order to meet the needs of a growing company.